We appreciate this great review, Connie!! We hope to see you again soon! Excellent customer service!!! Always greeted when coming in and if there is anything I need help with to let them know. Thank you so much for the splendid review, Christina! Our team strives to go above and beyond to provide excellent service during every visit! We hope to see you again soon! Excellent service; friendly; and super foods,etc.! Virginia, thank you so much for such an outstanding review! Our team strives to go above and beyond to provide a wide variety of quality products for each pet's specific needs and ensure an excellent experience for each customer! We're thrilled you're pleased with our service and hope to see you again soon! Belmont, we are always excited to receive such an amazing review! Great customer service is always something our associates strive for and we are happy to have such great feedback! Staff is helpful and ask good questions to ensure all my dog's needs are met. Michael, thank you so much for your positive review! Our staff attends 40-50 hours worth of training on both products and customer service throughout the year to learn how to best serve our customers! It is always a pleasure to have such wonderful feedback! Highland Village location is a great asset to the area. The store is clean, well stocked and has a great staff. Mary, thank you for the amazing review!!! Debby, we are always excited to receive such an amazing review! Great customer service is always something our associates strive for and we are happy to have such great feedback! Great selection and customer service. Chuck, thank you so much for the great review! Our team strives to go above and beyond to make every experience excellent! We hope to see you again soon! I love Hollywood Feed a lot. The customer service is always exceptional. My only negative is that they’re out of 6” bully sticks more than they have them. My dogs consume a lot of bully sticks, so it’s a deal for us. Other than that.... perfection! We appreciate this great review, Kim!! Our team works hard to make sure each guest is well taken care of during each and every visit. We know how popular Bully Sticks are for our guests and their fur-babies - and some of our vendors have a hard time keeping up with our demand. This is why we have worked to bring in more varieties of bullies so that we have something on hand for everyone. We hope to see you again soon! Thank you for the awesome review, Rebecca! The staff is always so great and eager to answer questions! Thank you for the incredible review, Cosby! Our team attends monthly training on a variety of pet related products and nutrition so that we can help our customers find the best items for their furry friends! Please come and see us again soon! Thank you for the great review, Jamie! Thank you for this great review, Dianne!! 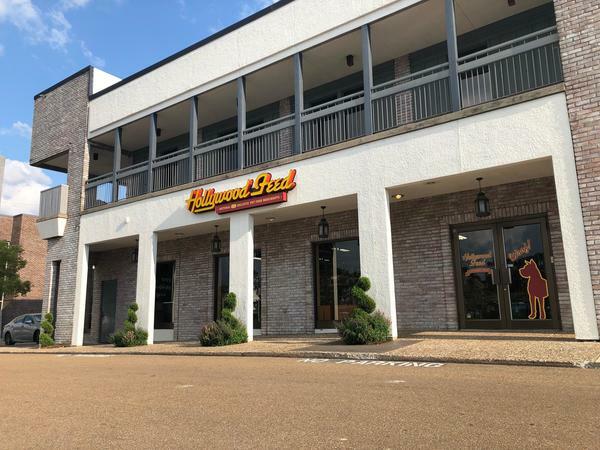 We were so impressed with Hollywood Feed at Highland Village! Great customer service during a busy time of the year was such a wonderful experience. Our dog and cats loved their treats! We will be back!!! Thank you for this fantastic review, Allison!! We are so happy to hear you enjoyed your recent visit. Our team works hard to make sure each guest is well taken care of. We can't wait to see you again!! All of the staff are extremely helpful. I'm really glad of the location at Highland Village, too. Thank you for this amazing review, Jolynn!! We hope to see you again soon! Great customer service and always willing to help with all my pets needs. Thank you for this great review, Greg! Our team strives to offer the best service during each visit. Come back and see us again soon!! Thank you so much for the positive feedback, Catina! We hope to see you again soon! Awesome customer service, friendly faces, great products! Saunders, thank you for the fabulous review! Love the new shop in Highland Village in Jackson. Thank you for the awesome review, Becky! Convenient location for me. Helpful staff. Larry, thank you for the wonderful review!